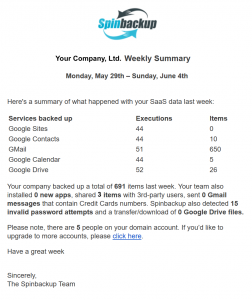 Spinbackup is all about automatization. Once you register your account, you may never need to visit it until you need to restore your data. 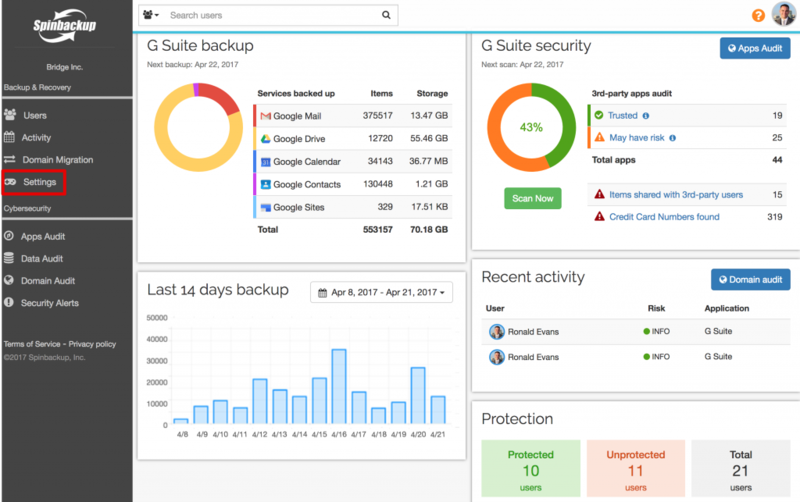 In addition to the G Suite security alerts, that are sent to your mail or slack when security issues occur, you can set up weekly or monthly reports to get fully informed about what is going on in your Spinbackup account. To set up the reports, press Settings on the left of your Dashboard. In the Reports section select the desired frequency, enter the recipients’ email addresses and click on Update. invalid password and abnormal transfer/download statistic. 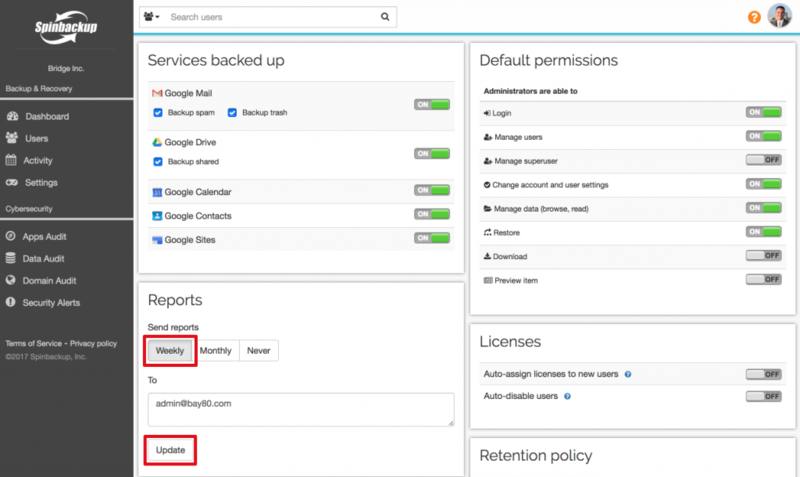 Set up the reports and enjoy Spinbackup!